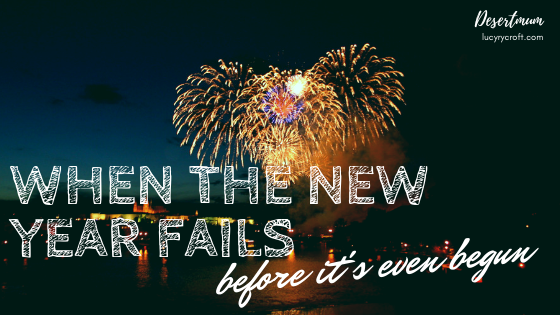 There is nothing like the seeing-in of a new year to convince us of our failures. Take New Year’s Eve. Whilst I love the idea of it, I find myself caught in that awkward time of life when celebrating it in any way, shape or form seems near impossible. Lodged between my carefree twenties, when I was free to go anywhere and do anything, and my forties, which I sincerely hope are going to be like a second adolescence, as my kids grow into the right age and temperament for partying with us, these days I find myself generally doing very little to see in the New Year. Scrolling through Facebook, it would appear that my parent friends are the same. If we’ve managed a glass of something alcoholic and made it to 11 without passing out due to sheer exhaustion, then that passes as a decent celebration. I chuckled when I read that one of my friends had celebrated with a bottle of Prosecco and University Challenge, and admired their determination to celebrate whilst their 1-year-old slept upstairs. And yet something about my own lack of energy to put anything into New Year’s Eve makes me wonder: if I can’t even get this one night right, what’s the hope for the rest of the year? Then there is the constant stream of end-of-year reviews, in every format. There’s nothing like a quiz about the previous year’s events to remind me at how rubbish I am at keeping up with the news. I don’t even know which celebrities have got married/divorced/enhanced, let alone the Important Events. Honestly, I watch Charlie Brooker chiefly to catch up with the main news stories of the year. Again, FAIL is written right over me. 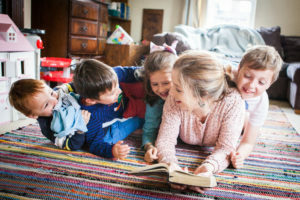 And let’s not forget the constant pressure to be a Winning Mum – read: scour Pinterest for creative ideas to make the New Year meaningful and poignant for your 2 year old. Time capsules. Firework crafts. Chinese lanterns. Wishing trees. Over-optimistic lists of what you all want to achieve this year. I’ve done none of this. I kind of want to, but not enough to actually make it happen. FAIL. Of course this leads us nicely to the elephant in the room: New Year’s resolutions. Surely nothing reminds us of our own failure more than vowing to do something you know is over-ambitious. And all around us, people seem to be actually achieving their goals: losing weight, running marathons, travelling the world. What about me? FAIL. As I ponder this, I wonder whether I’ve got it all wrong. Whether actually the passing of old seasons, and the arrival of new ones, is not about making oneself better, stronger, fitter, richer. Whether the change of year is actually no more significant than a new month, a new week, a new day – each one abounding in the same fresh hope and new opportunities. Perhaps the New Year is not so much about striving for more, but acknowledging what we have. Perhaps it is not so much about improving our lives, but noticing the good which is already there. Perhaps every day – not every 365 days – is a chance to grab opportunities, see the good, serve someone else, live with hope in our blood. Maybe what we need most is what we already have – and the One we already have is ready to do the impossible this year: acts which will endure forever, beyond whatever fitness regime or career ambitions or self-improvement plans we could set ourselves. This is not a time for failures. We have already failed – and, try as we might, we will fail again. Instead, may we entrust our 2016 to God, with all the successes and failures it will bring. His works – not ours – will be of lasting substance. On 31 December 2016, I want to be content and encouraged by having sat back and let God take centre stage during the year. I want stories of His goodness and grace, miracles and wonders, the addicted released and the hungry fed. And then I’ll know, whether I party till the early hours or crash out at 9pm, that God’s love endures forever. Happy New Year lovely, Lucy ( and all other junior Rycrofts; including Alistair!). My first thought on reading this post is ” who on earth said that there is a right or wrong format for New Years Eve?? If you decide to go to bed with a glass of something alcoholic at 8.00p.m that is absolutely fine, for YOU have done the important stuff! You are helping raise not 2, but 4 beautiful children, look after a home, support Alistair and your parishioners etc. etc. The rest of the “stuff” i.e. keeping up with the news, celebrity divorces (I think that the Bible wins over Hello magazine) and even (dare I say it?) scouring Pininterest is driven by the agenda of “the world” which is in the main driven by capitalism. Have you noticed that we all ought (according to this agenda) already be stocking up with Easter Eggs? I personally hate with a passion the merry-go-round we are all meant to run ourselves silly on. So, in everything that matters and, of course, in your God-centred focus, you are an A-lister! P.P.S. By “junior Rycrofts” I mean the next generations down after the “senior Rycrofts”, Lynn, Dave, Les etc. (sorry, Alistair!). Thanks for reflecting on this Lucy. I have just sat down to process the year ahead and what i’m hoping for in it…instead of cleaning the house…and was feeling the ‘Fail’ and praying for God to dispel that lie. Your blog has done the job nicely so thanks Lucy and thanks God! there’s a story of answered prayer right there! There is another option for New Year’s Eve …. If your family situation allows it …. Go out into the towns and cities to praise, pray, read scripture and dance as the New Year comes in. Others will come along and join you – not the ones you would be expecting. Party out in the highways and byways. It beats anything you could be watching on TV with a glass of whatever. Go out in the cold and mix with the revellers finishing with a nice hot cup of tea! It’s wonderful! Pingback: Why bother with New Year’s resolutions?